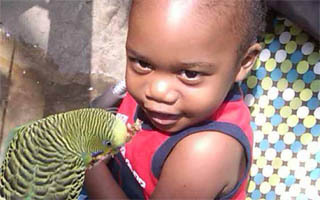 Damali Ferguson was just like any other toddler: energetic and engaged as he surveyed his surroundings. The difference, however, was that Damali, who is from the country of Jamaica, struggled to breathe as his small heart worked hard to do its job. Diagnosed with a congenital heart defect, Damali was destined to face a life of physical hardship – and worse – if his condition was left untreated. Until Rotary members from District 6840 in Louisiana stepped up and found donors willing to sponsor Damali’s surgery. These days, Damali’s condition has been treated by Children’s Hospital in Lousiana, and his breaths come easier now. He and his mother are grateful to the Rotary and to others who made his survival a reality.